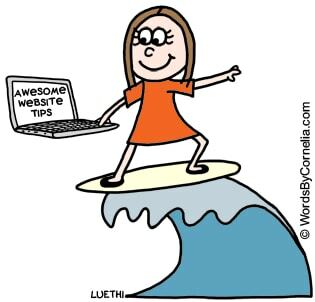 Website and copywriting tasks are much quicker if you know how to copy and paste using keyboard shortcuts. 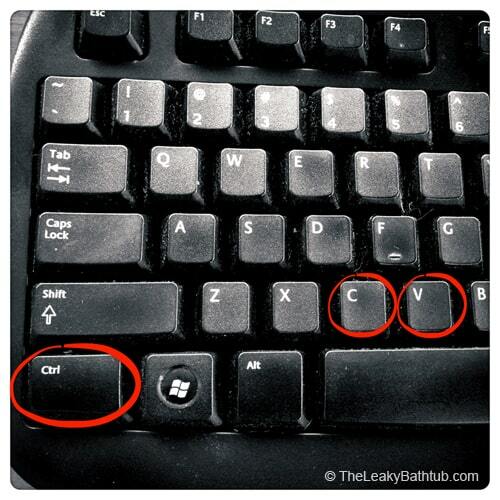 You can save yourself a huge amount of time if you know how to copy and paste using keyboard shortcuts. In this blog post you will find step-by-step instructions, as well as a video to show you how to copy and paste using keyboard shortcuts. Sending a website address (URL) in an email, or putting it in a document. Someone’s contact details, such as their website address or phone number, from their email signature. Information from an old document (e.g. a proposal, letter, or fact sheet) into a new document. Keywords you’ve brainstormed into a keyword research tool. … There are limitless ways in which copying and pasting is useful! And if you know how to do it quickly and efficiently, it can save you a lot of time. Note: Giving instructions on how to copy and paste using keyboard shortcuts might seem quite basic to some readers here… If that’s the case, give yourself a pat on the back from being so smart. I know for a fact that there are a lot of people out there who don’t know how to copy and paste at all – let alone with keyboard shortcuts! Why use keyboard shortcuts to copy and paste? You don’t have to use the keyboard shortcuts to copy and paste… you can use your mouse and go to Edit > Copy and then Edit > Paste. But this method is very time-consuming. If you do a lot of copying and pasting in your day (like I do), then using the keyboard is far more efficient, and it will save you time for more important things. You’ll still need your mouse to highlight the text and position the cursor, but by using keyboard commands for copying and pasting (instead of navigating to the Edit menu), it’ll be quicker for you. Click the left mouse button and drag the mouse to select the text you want to copy. To select a whole word, double-click on it with the left mouse button. If you want to select a whole paragraph or website address (URL), triple-click on it with the left mouse button. Select the text you want to copy (as per the instructions above). Press down the ‘Control’ and letter ‘C’ buttons together at the same time: this is the ‘Copy’ command, which puts the data on your computer’s clipboard. 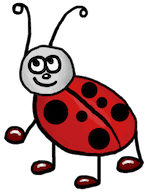 Then navigate to where you want to paste the information: place your cursor with the mouse. Press down the ‘Control’ and letter ‘V’ buttons together at the same time. This is the ‘Paste’ command, and the text you selected should now be inserted. Press down the ‘Command’ button and letter ‘C’ buttons together at the same time: this is the ‘Copy’ command, which puts the data on your computer’s clipboard. 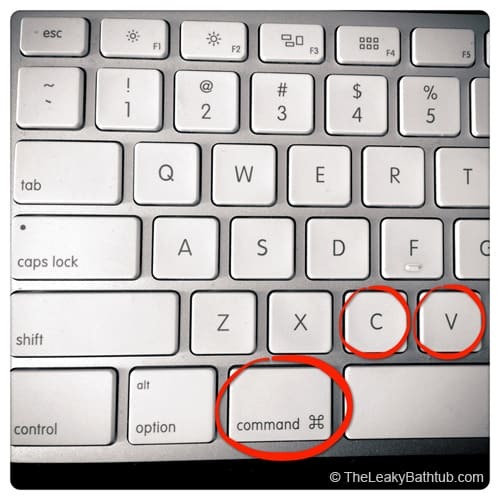 Press the ‘Command’ button and letter ‘V’ buttons together at the same time. This is the ‘Paste’ command, and the text you selected should now be inserted. There are many more keyboard shortcuts, and many are universal between apps. But copying and pasting is the one keyboard shortcut I use the most – and it’s likely to be the shortcut you’ll use the most too. When you’re choosing marketing photos to go with your copy, you need to think carefully about where you’re directing your readers’ eyeballs. Discover why the Mona Lisa Effect is a no-no for most marketing photos, and why a Non Mona Lisa image will help your message to get across more effectively. 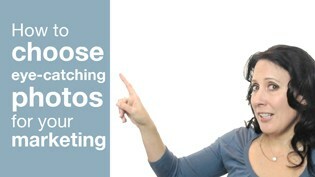 When you’re choosing marketing photos, there are 3 things you should look for. The photo should be positive and inspiring, so it creates an “I want that” factor. People are far more drawn to photographs of people than of objects. This Mona Lisa style of picture, where the model is looking straight at you, is effective for magazine covers and other scenarios where the role of the picture is to get attention. I call this style of photograph the Mona Lisa Effect, and it works well in crowded magazine stands. This is because the photos job is to make eye contact with you, so that you pick it up and buy the magazine. A Non-Mona Lisa photo is one where where the model is looking into a space. What you do with that photo is to add a strong headline into that space. That way, your prospects’ eyeballs will be lured into reading your headline, as they’ll naturally follow the model’s gaze. This is a technique that works on websites, brochures, advertisements… just about anything where you have a headline. And this eyeball controlling technique really works! This has been tested with heatmaps based on where people are looking. So use this technique for marketing photos and really take your marketing message to the next level. The photograph should be aspirational and positive. It should have a person in it. The model in the photograph should be Non Mona Lisa, that is, looking into the copy space. Add a strong headline into that copy space. This technique doesn’t take any extra time, or cost extra money, but it gets your prospects to read your message. Don’t risk losing sales because you’re not using marketing photographs – or you’re using the wrong type of photos. Are your marketing photos making or breaking your sales? 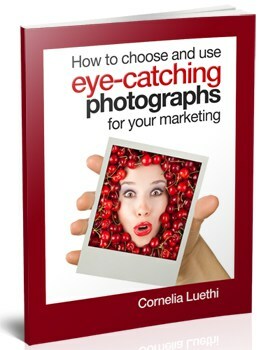 “The book takes you through the whole process of using photos in your marketing materials, starting with how they can add impact to your copy. If you’re like me, you’ll find it fills all the gaps in your knowledge (including gaps you didn’t know were there!). The book is crammed full of examples showing you exactly what works (and what doesn’t). It also has detailed explanations of why these techniques work. If you’ve avoided using images in your marketing material, either because you’re more of a ‘words’ person, or don’t really think images matter or because you’re unsure how to make images look professional, then this will be the best $$ you ever spent“. Does it sometimes seem hard to reach the long-term goals for your business? 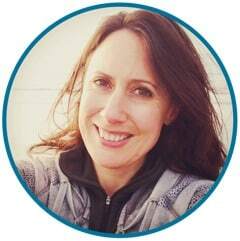 … Hi, this is Cornelia Luethi from The Leaky Bathtub, and most of the business owners I meet work long hours. After all, they want to make their business a success. Also, when you enjoy what you do, it can be hard to stop… you just want to keep going! 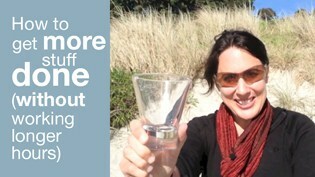 The capacity in your day is limited – like this drinking glass. There’s only so much you can put in it. The sand represents all those trivial, time-consuming tasks… like admin, accounts, and replying to emails. Yes, those things need doing, but if you let them take up too much time, there’s not enough time for the important stuff. These pebbles represent the important things in my life. Like writing and launching books. Billable client work. Exercising, so I stay fit and healthy. Spending time with my family and loved ones. Taking breaks. So to make sure you achieve what’s important to you, you need to schedule the important things first… and then fit the more trivial tasks around them. In my case, I make time each day for exercise, writing books, billable client work, etc. As for this mid-winter break, I scheduled it 6 months ago. As soon as I get a new wall planner, I get out my highlighter pen, and block out some time for breaks. Sure, you can be more spontaneous than that, but personally I like having breaks to look forward to. It keeps me focused and motivated. It’s up to you how you fill your day, so make sure you fill your days with something that makes you happy! Do you schedule regular time out from your business? Hi, this is Cornelia Luethi from The Leaky Bathtub, and thank for joining me on my mid-winter break on Waiheke Island. Waiheke Island is an hour by car ferry from Auckland, New Zealand. It’s home to about 8,000 residents, and has dozens of good restaurants and wineries. It gets pretty busy on the island over summer, but it’s a nice place to visit in winter, too. I rent a cottage on the beach for a few nights, with my man and my dog, most winters. In fact, we take short breaks throughout the year. These mini-vacations don’t have to be extravagant or expensive – the aim is for me to get out of the house, seeing as I work from home. It’s about having a change of scenery, and relaxing. Firstly, the breaks help me recharge my batteries. Like most small business owners, I work long hours, and over time that takes its toll. Constantly working long hours is tiring for both the brain and the body, and that’s when we get prone to getting sick or burnt out. Getting sick or burnt out doesn’t help me or my customers, so it’s best all round if I look after myself. 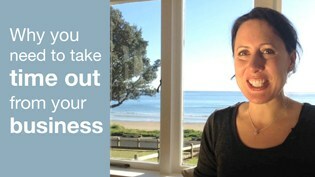 The second reason why it’s good to get away from your business is that it gives you distance. That might sound obvious… after all, if you’re away from your business, of course there’s distance! But I’m not just talking about geographical distance. By getting away from the daily demands of work, you get a new perspective on things. I find that when I’m on holiday, the creative side of my brain kicks in. I get all inspired about my business, and my long-term goals become clearer to me. Ideas, ideas, and more ideas! In fact, I get so many ideas, that I always take a notebook to jot my ideas down. These ideas then get incorporated into my one-page marketing plan. And believe me, writing a marketing plan is so much easier when your ideas are flowing freely, rather than trying to get inspiration sat at your desk, where your phone’s ringing, and your In Box is overflowing! … Can you afford NOT to take time out? Isn’t it better you take care of yourself, than to get sick and burnt out? Breaks are also a really good way of re-connecting with our loved ones. Believe me, your favourite people are going to love that you’re spending more quality time with them! Anyway, speaking of loved ones, I’m off to spend more time with mine… till next time! Do you ever wish that your prospects were a little more… obedient? That they took the action you want them to take? The trick is to treat them like dogs… all is explained in this video! Do you ever wish that your prospects and customers were a little more obedient? Do you wish that more of your customers and prospects took the action you suggest in your emails, website pages, letters and brochures? 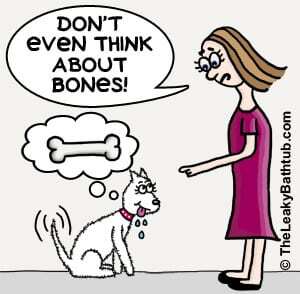 It’s not just dogs that don’t understand negative commands – neither do your prospects. Imagine that I’m telling my dog to “not sit”. What do you think my dog, Minnie, would do? Why, she sits down, of course! Minnie, didn’t hear the word “don’t”… she only heard the word “sit”. Although we may hear negative words, such as “not” or “do not” or “don’t”; our brain picks up on the main word in the sentence. So the negative word affects our ability to communicate clearly. Let’s have a look at some examples to show what I mean. Ugh, the word that I’m hearing is “forget”! Of course I’ll forget, my To Do list is long enough! Have you used negative phrases like that in your marketing and business communications? Here’s a better way… instead of writing: “Don’t hesitate to contact us”, write, “Please get in touch”. Doesn’t that sound a lot friendlier? Instead of: “Don’t forget to sign up”, write, “Remember to sign up”. And instead of: “It’s not a problem”, write, “It’s a pleasure”. Do you see how those small changes make your business seem far more friendly, approachable and positive? It’s such a small thing, but it really makes a difference. Go on, give it a try next time you write some marketing copy. Then have a look at your existing marketing materials – printed and online. Zap those negatives and replace them with the positive actions you want your readers to take. That way, you’ll get more customers and prospects taking the action you want them to take… and you’ll get to earn more, um, dog biscuits. Talking of earning dog biscuits, notice how this is a small tweak you can make to your marketing that is absolutely free to make? My Marketing Tips newsletter is jam-packed with effective marketing tips and articles just like this. 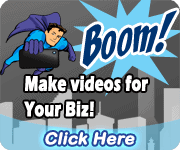 Simply use the boxes below and get on the list for free marketing tips updates! Need to write a good headline – but don’t have time to suss out a bunch of different headline writing techniques? Good headlines help attract readers’ attention… here’s an easy headline writing technique. There are lots of headline writing techniques out there, but this one is probably the easiest to learn… and it works really well. 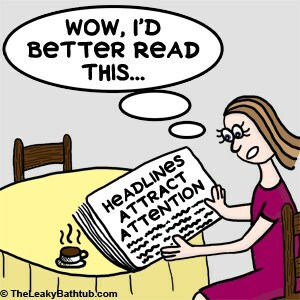 Are you struggling to write an attention-grabbing headline? Next time you need to write a headline, see if you can use this headline writing technique. Then, review your existing marketing materials (printed and online) and give them a re-vamp by writing a catchy headline. PS. Yes, this is me, Cornelia, in the video! This is my very first attempt at a video blog – or ‘vlog’ as it’s called. It’s filmed on my iPhone using techniques learned from iPhone Video Hero… you can get a FREE eBook on iPhone Video Marketing here.